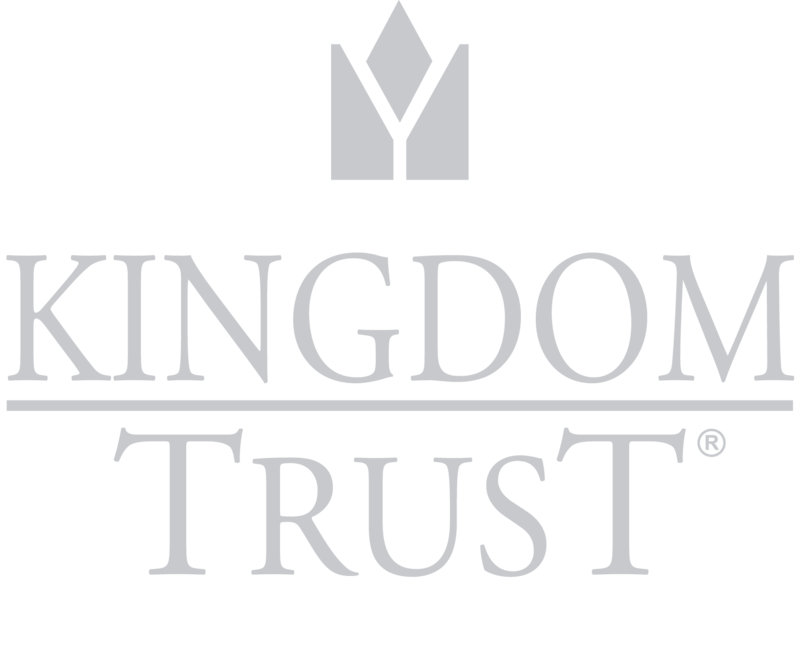 Kingdom Trust serves as an independent qualified custodian for the assets of clients of registered investment advisors, broker-dealers and investment sponsors, as well as their Individual Retirement Accounts (IRAs), non-qualified plans and qualified defined contribution 401(k) plans. Kingdom Services provides administrative services and support to Kingdom Trust under a contract between the two companies. Kingdom Services is a Kentucky limited liability company formed to be a full-service administrator of individual and multi-participant tax-deferred retirement accounts. Kingdom Trust/Kingdom Services custodies and administers the accounts of clients with a commitment to service that fulfills the unique needs of our clients. We provide a “high touch” client services company leveraging industry-leading technology to allow clients to have complete control over their Self-Directed IRA and other retirement and non-retirement accounts. A major focus of our business is to support the growing institutional custody needs of our strategic relationships. The regulatory environment continues to change in the finance and investment industry, and the Dodd-Frank Act and other consumer protection regulations make the landscape difficult to manage at times. Kingdom Trust is committed to being an industry leader in understanding the regulatory and compliance environment for our strategic relationships and clients. 26 USC 408(a) defines Individual Retirement Accounts as trusts and requires that the trustee be “a bank (as defined in subsection (n)) or such other person who demonstrates to the satisfaction of the Secretary that the manner in which such other person will administer the trust will be consistent with the requirements of this section.” 26 USC 408(n) defines a bank as “a corporation which, under the laws of the State of its incorporation, is subject to supervision and examination by the Commissioner of Banking or other officer of such State in charge of the administration of the banking laws of such State.” By obtaining and holding a trust charter from South Dakota, Kingdom Trust is in compliance with these requirements. The United States Treasury’s Code of Federal Regulation 31 CFR Section 103.11 defines a financial institution to include a commercial bank or trust company organized under the laws of any state of the United States. Therefore, all South Dakota chartered trust companies must develop and implement a Customer Identification Program (CIP) to comply with the USA Patriot Act. Kingdom Trust has drafted a comprehensive Anti-Money Laundering Policy that, among other things, established the policy and procedures the company must employ to ensure compliance with the Patriot Act and other relevant legislation. Kingdom Services and Kingdom Trust are built around an experienced and competent staff of seasoned industry professionals. Our team was uniquely brought together to ensure that the delivery, technology and compliance functions are all handled in a manner to the expectation of the industry. Veterans of the self-directed retirement industry hold key Kingdom Trust executive roles, and the Board of Directors is likewise staffed with veteran business leaders in their respective fields. Our strategic relationships and service providers represent some of the best in their industry, with visionary leadership, integrity and key knowledge of the financial, legal and investment industries. For more information, visit our Service Providers page. Kingdom Trust operates in a regulated environment. The company has developed good relationships with the governmental agencies and departments involved in oversight of the industry and charged with ensuring those under their jurisdiction comply with appropriate laws and regulations. Visit our Current Regulations page for more information on some of the various laws, requirements and regulations Kingdom Trust must be in compliance with and follow. Kingdom Trust has a formal, documented and comprehensive information security program including a privacy statement, security policy, anti-fraud program, money laundering reporting program, policies and procedures and specific roles and responsibilities of those assigned to monitor the program. Information collected by the custodian includes, but is not limited to, identifying information such as Social Security numbers, driver’s license numbers, account numbers, names and addresses. The custodian also collects account activity information such as deposit and transaction histories and information about investment histories gathered from client transactions and experiences with the custodian and transactions done in his or her account with third parties. As required by the USA Patriot Act, the custodian collects information, including copies of the client’s driver’s license or state identification, and takes actions necessary to verify the client’s identification. Kingdom Trust’s policies provide that all cash that customers deposit with the company is deposited daily into accounts with multiple banking options. Kingdom Trust maintains, pursuant to South Dakota law, a $1 million Directors and Officers/Errors and Omissions insurance policy and also a $2 million fidelity bond. It also has other insurance covering general liability, property insurance (for loss of premises or other assets, etc.) and a Workers’ Compensation Insurance policy for its employees. Kingdom Trust provides a detailed breakdown of our compliance review, policies and procedures, auditing and all other legal and compliance issue monitoring on our Internal Controls page. Kingdom Trust maintains a comprehensive disaster and security plan and a thorough set of controls and safeguards to ensure the security of our systems, website, data and real estate. The plan includes policies for operating the business as well as critical systems that need to be in place to conduct business. The plan is reviewed and tested annually to ensure all components are working properly and the systems will be functional in a timely manner if the need arises. Kingdom Trust does not offer any tax, legal or investment advice to its account holders. It simply follows the instructions of the account holder concerning the investments the account holder wishes to hold in his or her account. Kingdom Trust does a review of the investment type to insure the investment is one that can be held in the account holder’s account type and that it is an investment the company can hold on its platform. Kingdom acquires, holds and disposes of the investments chosen by its account holders at each account holder’s direction. Kingdom Trust has an obligation to report the fair market value of each investment it holds, both to the Internal Revenue Service and to the account holders. While Kingdom Trust seeks to report the value of the assets held in the account as accurately as possible using various outside sources available, on an annual basis or as deemed appropriate, it cannot and does not guarantee the accuracy of values obtained from quotation services, independent appraisal services, investment sponsors or asset issuers, depositories, or any parties related thereto, or other outside sources. Kingdom Trust does not value assets, conduct appraisals of assets or seek to verify the accuracy of prices or values reported to the company. The outside sources Kingdom Trust utilizes vary depending upon the asset class. Publicly traded securities and other assets traded on a recognized exchange will typically be valued according to the assets’ value on that exchange on a particular trading day. Similarly, precious metals will be valued according to the then-current price of the metals on a particular valuation day, and such valuation will not take into account any commissions or other fees charged by the metals vendor. For non-publicly traded assets, Kingdom Trust will rely upon good faith estimates from the investment sponsor or the account holder. Where the investment sponsor or account holder is unwilling or unable to provide a fair market value, the company may list the value of the asset at its original acquisition cost or carry forward the last known value. The company may reflect a valuation of zero if assets are reported by the investment sponsor as having no market value if the investment sponsor is in bankruptcy or if other relevant conditions exist. To facilitate the valuation process, Kingdom Trust seeks a valuation of non-publicly traded assets from the asset sponsor/issuer at least annually. If a value is not received within a reasonable amount of time, Kingdom Trust asks the account holder to provide it with the fair market value or good faith estimate of the value of the investment, either from the investment sponsor or from an independent appraisal service of the account holder’s choice, provided such appraisal service is acceptable to the company. If the account holder fails to do so, Kingdom Trust may list the value of the asset at its original acquisition cost or carry forward the last known value but may elect to distribute the investment to the account holder, in-kind, at fair market value, which may be original acquisition cost or the last known value, upon thirty (30) days’ written notice to the account holder. Kingdom Trust does not value assets, conduct appraisals of assets or seek to verify the accuracy of prices or values reported to it. The values reported on account statements issued by Kingdom Trust may differ from values listed on related asset sponsor, brokerage or depository statements. to sign checks from time to time on the pooled custodial accounts which are to be honored by the financial organizations for withdrawal of account holder’s funds from such pooled custodial accounts for distributions, investments, fees and other disbursements directed or agreed to by the account holder. The account holder hereby indemnifies and agrees to hold such financial organization(s) harmless from following the directions received from Kingdom Trust on the account holder’s behalf including, but not limited to, honoring checks drawn on the account holder’s portion of the pooled custodial accounts that are written by Kingdom Trust.